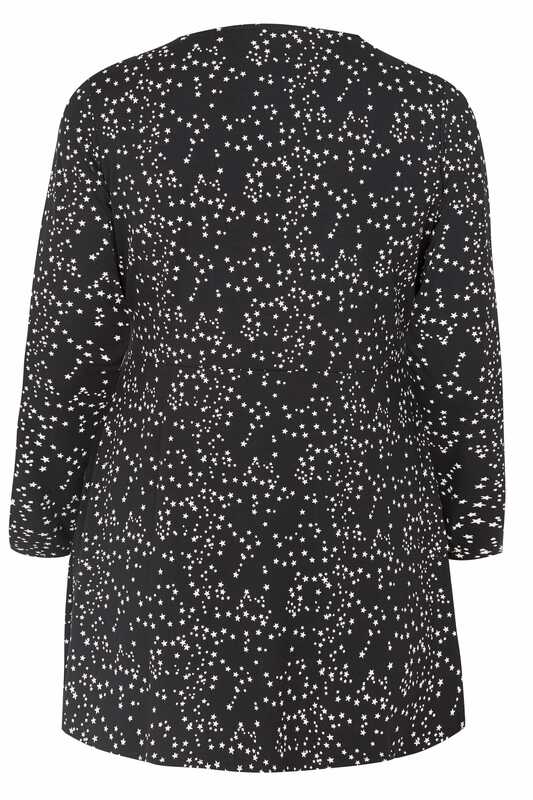 Boasting an all-over star print, this top effortlessly channels cosmic appeal. 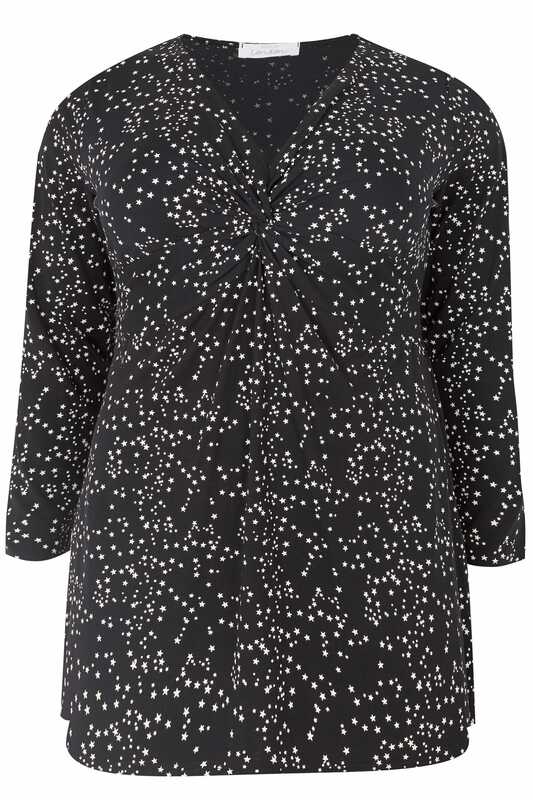 In a wrap style, its monochrome colour palette is elevated with a knot front and a flattering v-neckline. Pair with tailored trousers for office appeal, or staple denim for a more laid back feel. 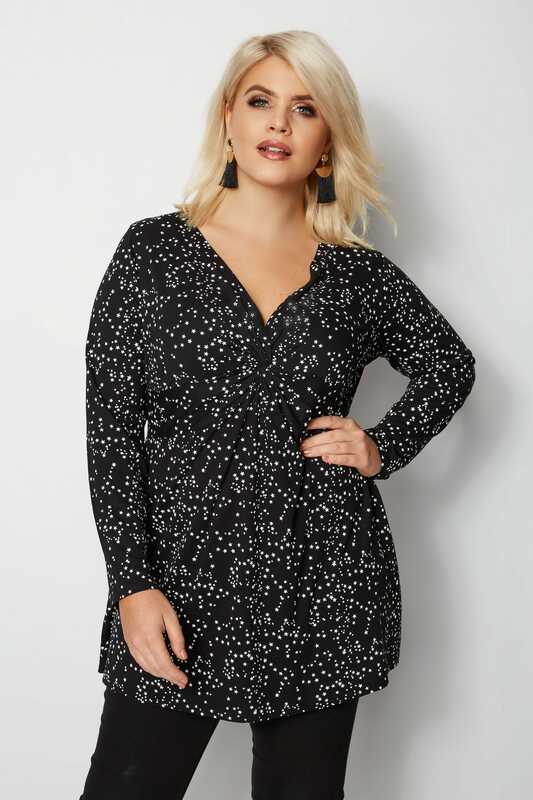 A printed top that will have you seeing stars.